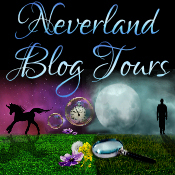 Of Love, but being asked to partake in the blog tour too, is a real honour. Despite having all of Amanda's back catalogue, I am still fairly new to this author and have only read a few.. I can hand on heart however state that of those I have read, The Food Of Love is one of her best! The Food Of Love is a very poignant story of a young girl, Lexi, and her battle with anorexia. Amanda has clearly done her research with this book - there's so many layers to it, I couldn't put it down. The story for me was told as if I was a fly on the wall in the home of the Braithwaites. As with all Amanda's books, you instantly feel part of the family involved and as if you are there in the room with them. Fraya - wife, mother, food columnist and all round heart of the home. Lockie - husband, father, straight talker but bad joke teller. Charlotte - elder daughter, big sister, strong, independent but so very afraid. And then there is of course Lexi, just a young 15 year old battling her demons. One minute the family are laughing and joking round the dinner table, the next they are joined by 'Ana' who becomes the 5th member at the table and puts everything on tender hooks. I remember doing a project when I was at school about eating disorders and we looked fairly intensely at the ways anorexia can suddenly take over your life - the way the human suffering from this cruel illness tries to hide it, their coping mechanisms, mood changes, how they store and hide food to how they layer their clothes to disguise their disorder. It was a powerful project that is always in forefront of my mind when I look back at my school days and I feel that The Food Of Love is going to have the same effect - in my opinion, from the knowledge I gained from my studies, Amanda nailed this subject brilliantly. Despite the horrific subject The Food Of Love had a real sense of love and family connections - another thing that Amanda does so well - her ability to take an ordinary family scenario and give them a not so ordinary situation makes an extraordinary story. Each chapter for The Food Of Love was cleverly split into two sections. The first being the pain bulk of the story, but at the end of each chapter there was a few paragraphs which were all written, from the same day, stating a time left to go. This had me gripped as you really didn't know what they were building up to until you reached the last chapter. 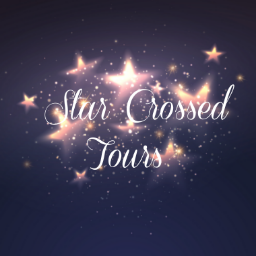 Amanda has a real knack for moving her stories along too, The Food Of Love was set over the course of a year but felt much shorter due to the authors way with words. If there is one book you pick up this cold December, please make sure it's The Food Of Love. It made me laugh, cry, gasp out loud and sigh in frustration before making me cry again but I ended with a smile. 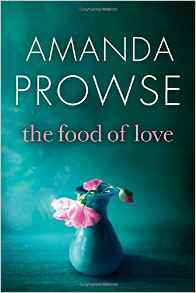 The Food Of Love was a powerful, heart-wrenching and gripping story and is Amanda Prowse at her best.